Sigh, it’s hard working in an office around the holidays—and not because you’re surrounded by so many ugly Christmas sweaters. That’s bad, but what’s worse is the office’s annual Secret Santa pool that you inevitably get roped into doing. It can be a challenge finding a gift that impresses your co-worker. Unfortunately, as a person who gives bad gifts, you know this all too well. If you’ve given less than impressive gifts in the past, here are some best gadgets to gift this Christmas. From crowd-pleasing accessories to practical gadgets, it lists a ton of tech-inspired gifts anyone in the office will love. All you have to do is wrap up one of them to turn your reputation as a bad gift giver around. Save your gasp for another list of gifts. 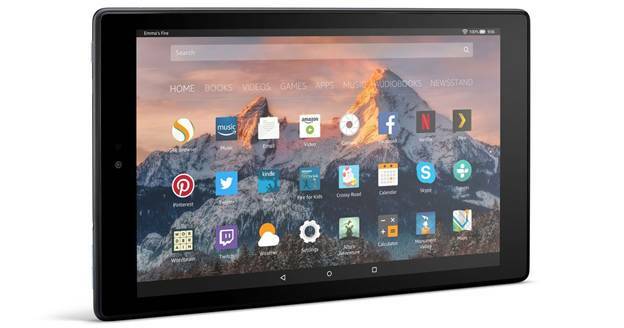 Although the word ‘tablet’ inspires visions of an expensive bill, the Amazon Fire is so affordable it will fit well within your modest Secret Santa limit. At just $49.99, it’s one of the least expensive tablets in the market. It’s a great gift idea if you pulled the resident bookworm from the hat this year. This tablet makes it easy to carry around hundreds of books without weighing down a bag or purse. With access to Amazon Prime or any other e-book service, including the free app OverDrive, they can download as many books as their heart desires. If they’re not so much a reader but a listener, you can swap out a tablet for an Audible subscription. With monthly and yearly subscriptions, it’s an easy way to delight your Secret Santa. A subscription of any length offers them unlimited access to Audible’s audiobooks, podcasts, spoken versions of newspapers, and even TV shows and movies. Their subscription offers them one free audiobook a month, then the rest is up to them. They can choose to load up on titles to listen to during a boring commute or a long day at the office staring at their computer screen. If your co-worker is always the best dressed person in the office, you can help them take their fashion to the next level by giving them a set of stylish skins for their tech. Companies like dbrand custom make each skin to fit individual devices, creating close-fitting accessories that add zero bulk to their phones, tablets, or wearable tech. Although a Pixel skin measures differently from an iPhone skin or a MacBook skin, they can sport the same premium designs as if they were wearing a uniform. Once you take a look at the options, you’ll want to order a set of cool skins for your phone, too. With textures like black matrix, red dragon, and carbon fiber, there’s something for everyone. Does your co-worker constantly complain about how washed out they look whenever they hop on a video conference? The average webcam isn’t flattering to the average person, and the harsh overhead fluorescent lighting does nothing but highlight the worst features. You can help them put their best face forward by wrapping up the Chatlight. It’s a clip-on attachment that rests on the top of their desktop display, laptop, or tablet. It counteracts the harsh lighting of the office by shining a subtle LED light at the viewer, making sure they’re easy to spot during a Skype meeting. A Secret Santa exchange can be challenging when you’re participating with co-workers you barely know, but don’t give up! Put an end to your reign as worst gift-giver in the office by surprising your office mate with a tech-inspired gift this year. Whether you opt for a practical accessory that helps them during the workday or you wrap up something fun to spoil your co-worker, any of these gifts will impress the entire office.